The Massachusetts sellers statement of property condition is a form that many Massachusetts Real Estate companies require their agents to have the seller sign. Massachusetts however, does not require these forms to be filled out as part of a Real Estate transaction so it is up to the individual company to decide if they are going to use them or not. Quite simply the form details everything a home owner may know about the property during the time that they have owned it. Within this form you will find questions on everything from the lot and zoning to all the structural components in the home including heat, electrical, plumbing, roof, ect. It is no secret that in Real Estate you are supposed to disclose anything that you know about a property that could materially effect the value. As a Realtor if you know that every Spring the home that you are marketing gets water in the basement you don’t keep it a secret! Unless of course you don’t mind getting sued! Most regard the function of the form as a protection for the seller and the Realtor. In fact many errors and commissions policies give a discount to Real Estate companies that require their agents to have these forms filled out. As a home buyer, you should always ask your buyers agent to get a copy of the sellers disclosure form in order to be able to review any known issues. Every seller has the duty to respond fully and accurately to any request for information about a property. In the event the form is not used it does not mean the Realtor and seller are off the hook for giving proper Real Estate disclosures on any defects they may be aware of with the home or neighborhood. When I am representing a seller one of the things I am a real stickler about is having them fill out the form as detailed as possible. I want them to disclose every known issue that is present. Why do I do this? In a buyers market it is typical that there can be a 2nd round of negotiations after the home inspection. Buyers feel like they are in the drivers seat and sometimes think they can ask for the moon. It is very difficult for a buyer to come back after a home inspection and ask the seller to provide a credit for repair or just plain fix the issue if you have already made them aware of it prior to an offer! A window that has a broken seal (window has fogged). The back right burner on the stove is not operational. A hair line crack in the foundation wall. The hand rail on the deck is loose. If these things are disclosed up front to a buyer before they make an offer on your home it is awfully difficult for them to come back to you after the fact and ask for a repair or credit. A good Real Estate agent will be prepared up front to avoid complications down the road. About the author: The above Real Estate information on Massachusetts seller’s statement of property condition was provided by Bill Gassett, a Nationally recognized leader in his field. Bill can be reached via email at billgassett@remaxexec.com or by phone at 508-435-5356. Bill has helped people move in and out of many Metrowest towns for the last 24+ Years. A good reminder to home sellers to that it is much easier to disclose home issues up front so there are no surprises at the home inspection or to prevent lawsuits down the road. Good Information Bill. Thank You. Your new blog is FABULOUS dahling! 🙂 Congratulations! I tell all my Pre-Sale inspection clients to simply disclose my inspection findings to their Sellers and it simply makes their Sale much less stressful. 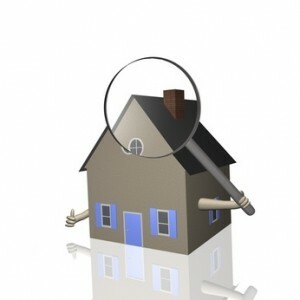 Any information (about your home) is power in a successful property transaction. Having the sellers completely and accurately complete the disclosure statement is also a good way to sell the house. If you’ve been a great homeowner let the buyer know. I’ve had sellers attach receipts for work completed, and I had one seller attach the record of every furnace filter change. It was a little over the edge but I’ll tell you what, after reading it the buyers knew the seller was not neglecting maintenance items on the house! Rich I think that was a fantastic idea on the seller’s part! I am all for disclosing everything whether it is a positive or negative. I think you have a very informative site and I intend to read it more frequently! However, there is one comment that I think is materially incorrect and should be addressed. The comment “In the event the form is not used it does not mean the Realtor and seller are off the hook for giving proper Real Estate disclosures on any defects they may be aware of with the home or neighborhood.” While that comment is true for the Realtor it is not true for the seller. My understanding is in Massachusetts, seller‘s are under no obligation to disclose defects and other conditions affecting the property about which the seller is not asked (unless the law has changed recently). If a seller is determined to hide problems they could purposely fail to inform their listing Realtor of defects and other conditions creating a situation where a buyer that has read that comment and relied on it as fact could not ask any questions then be surprised when problems arise after the closing. I think this reinforces your main concept to have the seller complete the Massachusetts Seller’s Statement of Property Condition but I’m hoping you can clarify what the seller is obligated to disclose. Brian I don’t think you are correct. As I understand it what you are saying is that if the seller has a latent defect in their property they do not need to disclose it? If the basement floods every spring – no disclosure necessary? If the roof leaks in a heavy rain – no disclosure necessary. I do not believe the seller’s gets off the hook and no disclosure is necessary. I’m saying that the seller is not legally obligated to disclose anything unless asked which gives the seller the opportunity to not disclose a latent defect. Obviously I think the seller should disclose but that is not my understanding of how the law is written. I had an issue a couple of years ago when I was the buyer so I’m very familiar with the subtle details and was hoping to find out from you if there has been any change to the law in the last couple of years. Please take the time to check this out as this type of information is very beneficial to potential buyers. Brian I do not believe that “let the buyer beware” is in force today. When this was changed I am not sure. I think a case could easily be made that if someone’s basement floods every spring that would be a reason for which a buyer could be influenced or not to buy a home. Would you disagree? I am not an attorney so I am not about to practice law here but I could find nothing anywhere that makes it ok for a seller not to disclose such an issue unless asked. Does that make sense? We both know a basement could be bone dry when a buyer looks at a home in the Summer time and then get water at some other point in time. I don’t think a buyer not asking about water gets a seller off the hook. Another example would be a seller putting their home on the market and a buyer purchasing and doing a home inspection at which time substantial defects are discovered. The buyer does not go through with the sale. The seller takes the house off the market but then decides 3 months later to put it back on the market. Does the seller now not have to disclose the issues discovered? My opinion is they have to disclose but again I am not a lawyer. Regarding your question about whether the seller has to disclose substantial defects, there is no legal requirement for the seller to disclose unless asked. I had a situation where the seller got a quote from a basement waterproofing company then did not disclose the water issue in the basement. I only found out because by chance I had called the same waterproofing company after the water appeared and the same technician showed up so he was able to confirm the seller knew about the water issues. There is a much longer story to this but the bottomline is I am trying to make sure buyers are aware of this pitfall and how important it is to ask questions. I was going to start a non-profit but opted to get my real estate license thinking it would be a better way to spread the word. When I read your blog I definitely agreed with your suggestion that buyers should request a copy of the seller’s disclosure form but I feel like your comments infer that there is a legal requirement on the seller’s to disclose when that isn’t the case. I’m hoping the law has changed in the last couple of years and that you had some attorney friends that would be able to provide the latest info regarding seller disclosure requirements in Massachusetts. Brian like I said above I do not think “let the buyer beware” has been in force for many years. I do think a seller needs to disclose latent defects regardless if a buyer asks or not. Show me the language with a source that says otherwise. Bill, I was just reading your article in anticipation of writing my own blog post on disclosure issues. Brian is correct actually. 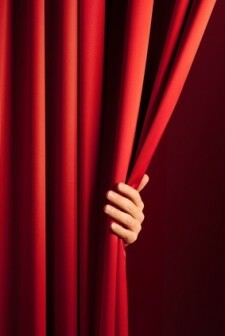 The rule of caveat emptor, or buyer beware, does protect sellers (but not their Realtors) for bare non-disclosure. That is, a private seller has no legal duty to disclose anything about the property at all. Don’t ask, don’t tell. A Realtor, however, is on a different footing legally and subject to that CMR regulation you cited above. Remember, a private seller is not bound by 93A as they are not engaged in the business of selling real estate. So the advice you give above is more to protect agents, than sellers. If, however, a seller is asked a direct question about the property, and LIES or MISREPRESENTS the condition (that is, the seller knows the basement floods and says it has not flooded ever) than there would be liability for misrepresentation. That’s why attorneys and brokers always advise sellers to not say anything to a buyer and stay away from showings, inspections, etc. Of course, no one can prevent someone from suing a seller and their agent. And your advice to err on the side of disclosure is good advice. Hiding the ball will not garner much negotiating good will! Best, Richard D. Vetstein, Esq. Rich thanks for your clarification on how the disclosure laws work in Massachusetts and the distinction between a Realtors and a seller’s obligations.